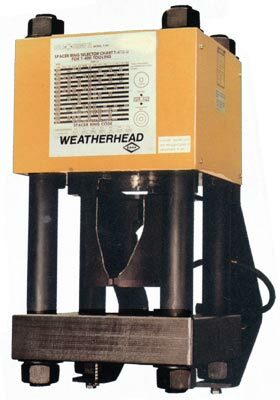 The Weatherhead T-410 crimper can crimp all types of hydraulic hoses from 3/16" to 2" one and two wire, and four and six spiral. Crimp diameters are set for Weatherhead style fittings. The Coll-O-Crimp II is a versatile machine ideal for your shop, factory, construction or mine locations. Big capacity combined with lever activated crimping gives you wide coverage and a quick and simple way to make factory quality hose assemblies. 3/16" I.D. fiber braid through 2" 6-spiral hose.